The Investigative Committee on Monday opened a criminal case against unidentified law enforcement officials for releasing three suspects linked to the killing of an ethnic Russian that sparked xenophobic violence in Moscow. The suspects' release after a brief detention drew Prime Minister Vladimir Putin's ire during his televised call-in show Thursday. 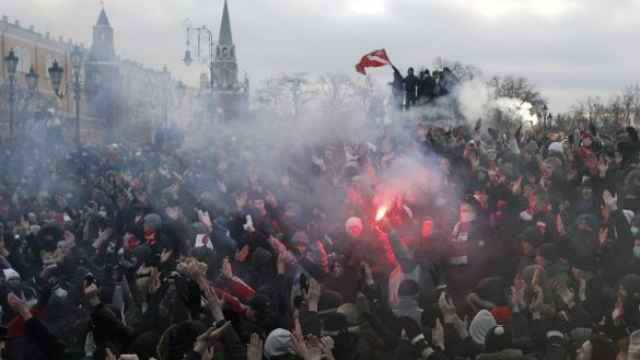 Far-right groups have used the case to rally supporters for violent, unsanctioned protests in Moscow and other cities. The officials — whose names, ranks and numbers were not specified — are being investigated for criminal negligence, which is punishable by a fine of up to 120,000 rubles ($3,900) or arrest for up to three months, the committee said in a statement. Investigators will check whether they had “personal interests” in freeing the suspects, the statement said. A preliminary check was opened Friday after Putin said police should never have released suspects in a murder case. “I think a demonstrative whipping of law enforcement should have been done without delay,” said Vladimir Tor, a leader of the nationalist movement Russky Poryadok, or Russian Order, which has participated in the protests. “That would have helped avoid riots,” he told The Moscow Times. Punishing officials now is only a 'short-term' remedy," Tor said. Protests over the death of Yegor Sviridov, 28, a member of a radical Spartak Moscow fan group shot dead during a brawl with North Caucasus nationals on Dec. 5, have resulted in thousands of detentions over the past two weeks to prevent further violence. 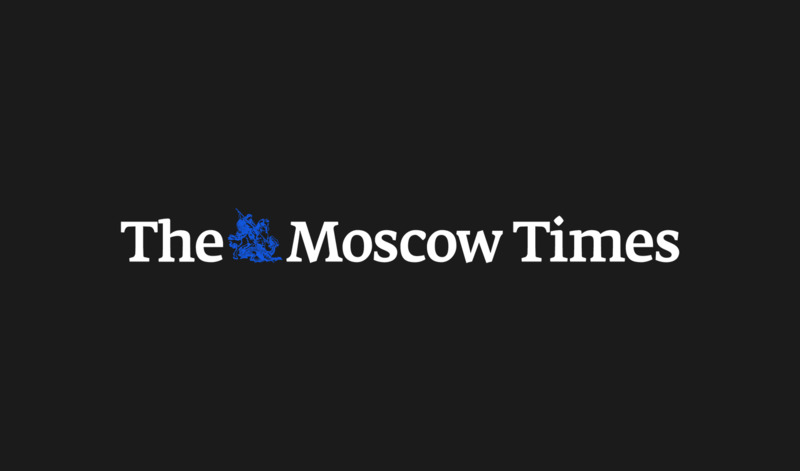 Sviridov's killing was first investigated by law enforcement officials in the city's North Administrative District, but the probe was soon passed to Moscow's branch of the Investigative Committee to appease outraged football fans. Football fans have likened the case to the killing of another ethnic Russian earlier this year, in which several suspects were released and went into hiding. Moscow police had not commented on the case by Monday evening. But Sports, Tourism and Youth Politics Minister Vitaly Mutko defended the football fans, saying they were not to blame for the unrest. “All the riots started because various state institutions, including law enforcement agencies, reacted incorrectly when the fan was murdered,” he told reporters, Interfax reported. The All-Russia Mufti Council also echoed Putin's remarks. "Individual police officials who released the suspects … under some pressure" were responsible for the riots, the council said in a statement released by Interfax-Religion. Sociologist Vladimir Mukomel, who heads the Center for Ethnopolitical and Region Studies, said punishing individual officers wouldn't have a major effect on the situation. Broader “social discontent” among young people is to blame for the protests' openly xenophobic nature, he said. “Putting on a show whipping of [the law enforcement agencies] could avert protests only at a certain moment and certain place,” Mukomel said. “These youth are now agitated because they don't have equal opportunities to get educations or work,” he said. State Duma Speaker Boris Gryzlov called the riots “an unpleasant situation” in his LiveJournal blog. Gryzlov, a former interior minister, said there were “concrete provocateurs and criminals” behind the unrest. The Federal Migration Service has created a special department to help migrants “integrate” into Russian society, Rossiiskaya Gazeta reported Monday. A service spokeswoman confirmed the existence of the department on telephone, though she said it was formed in September and remains largely undeveloped.